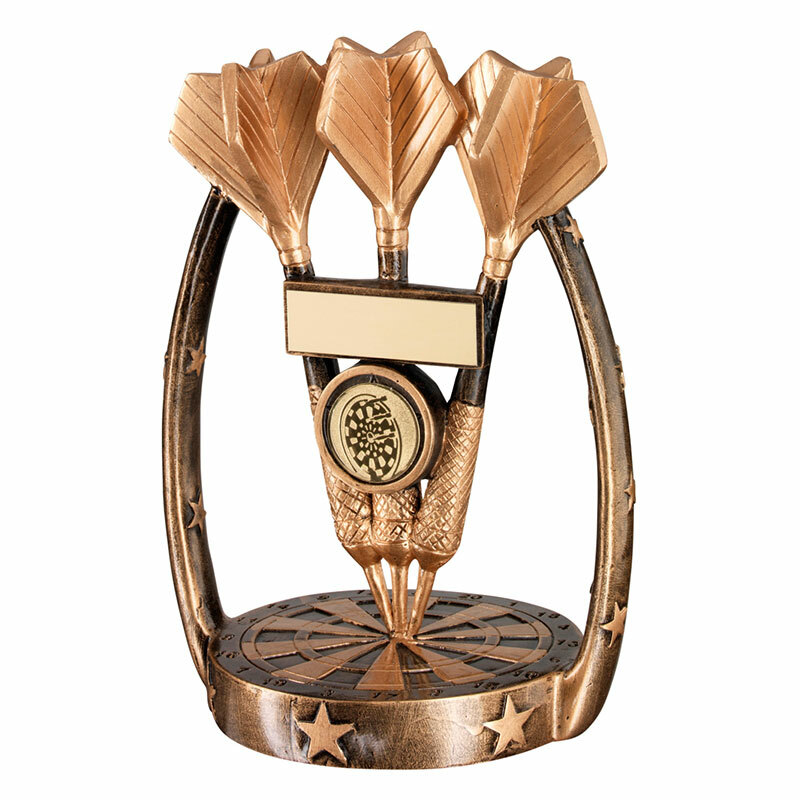 Resin darts trophy featuring three darts set within an arch and mounted on a dart board base. 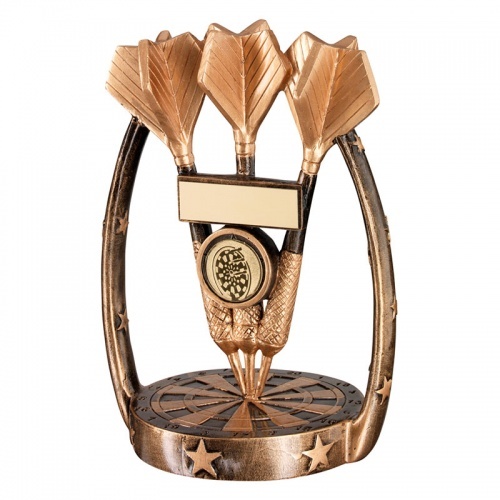 With an attractive antique gold finish, these darts trophies also feature an engraving plaque and circular darts theme centre. These versatile darts awards stand 6in (152mm) tall and are offered with low cost engraving of the plaque.